If chocolate says love, then chocolate and cheesecake must say it all – right? 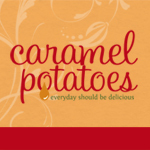 For those of you diligently trying to stick to your New Year’s diet resolutions – my apologies! For those of you planning an upcoming special event or scheming how to score big Valentine’s points, here you go! 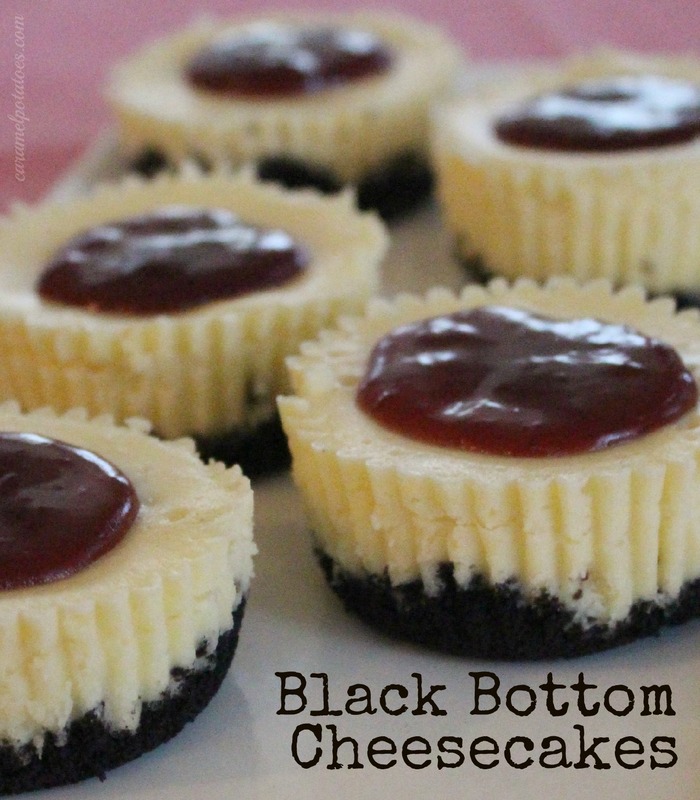 These little individual cheesecakes are perfect for parties, and if you really want to express your love “from the bottom of your heart”, what could be better than black bottom cheesecakes for Valentine’s Day! Line a standard 12- cup muffin tin with foil baking cups and spray the cups with cooking spray. Crush the cookies (I have made it with or without the cream filling – both work fine) in a food processor, or in a ziplock with your rolling pin, until fine; mix in the melted butter. Spoon the chocolate cookie crumbs into the prepared baking cups and press with the bottom of a glass to compact. Bake for 5 minutes. Leave the oven on. Beat the cream cheese and sugar at medium speed until smooth. Add the eggs and vanilla and mix until completely combined and smooth. Transfer the muffin tin to the freezer and chill the cheesecakes 15 minutes. Removed the cheesecakes from the pan and peel off the foil baking cups. Transfer to a platter and serve. Note: The mini black bottom cheesecakes can be refrigerated for up to 4 days. YUM! I’ll have to think up an occasion to make those! They look delicious. Love the black bottom crust idea!! Yum! Great recipe! Found you via the Thurs Treasures. Gosh, this looks so good!